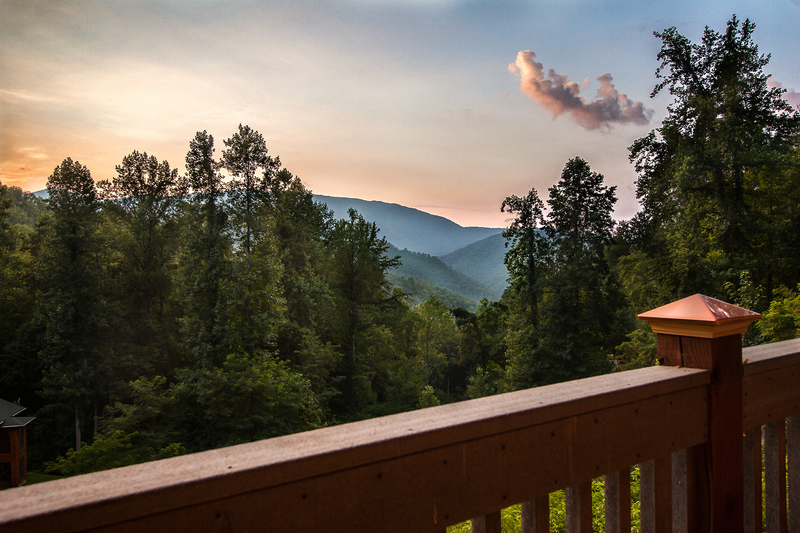 Smoky mountain 1 bedroom log cabin with a scenic view. 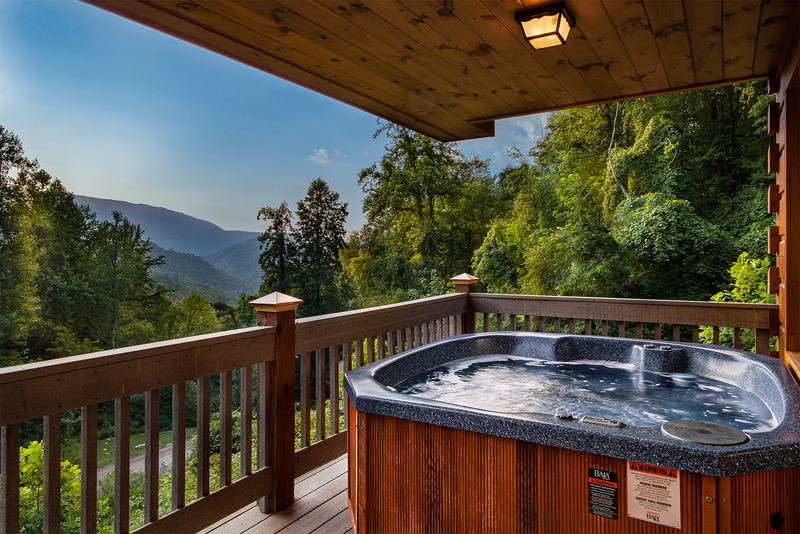 Start your evening out on the back deck in a hot tub with a beautiful mountain view. Large rear deck with chairs to enjoy a morning coffee or an evening glass of wine. 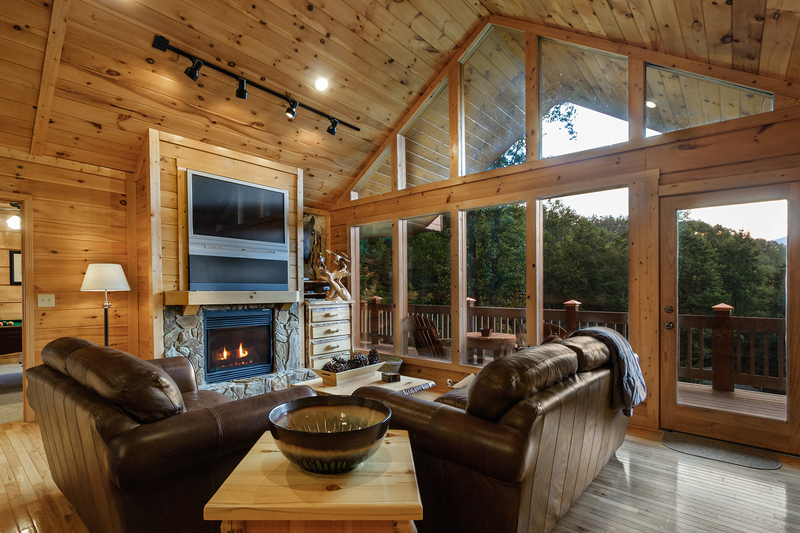 Cuddle up in front of the gas log fireplace or your favorite show on the large screen TV. Honeymoon inspired master bedroom has a jacuzzi style tub next to the Queen size bed. Jacuzzi style tub next to the master bed. A Game room with pool table, foosball table and dart board. 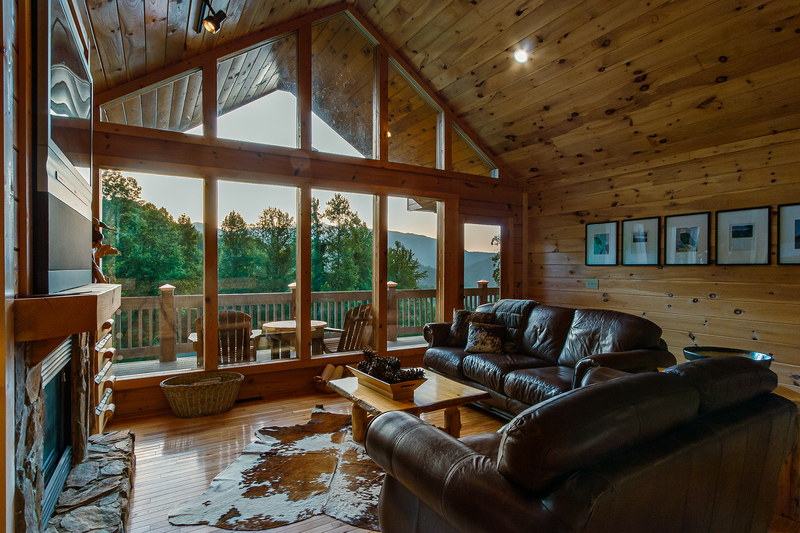 Behind the Nantahala Outdoor Center, about 5 minutes along a back country mountain road sits the large 1 bedroom log cabin getaway, A Bit of Heaven. The roads to the cabin are well maintained and generally easily driven by most vehicles. 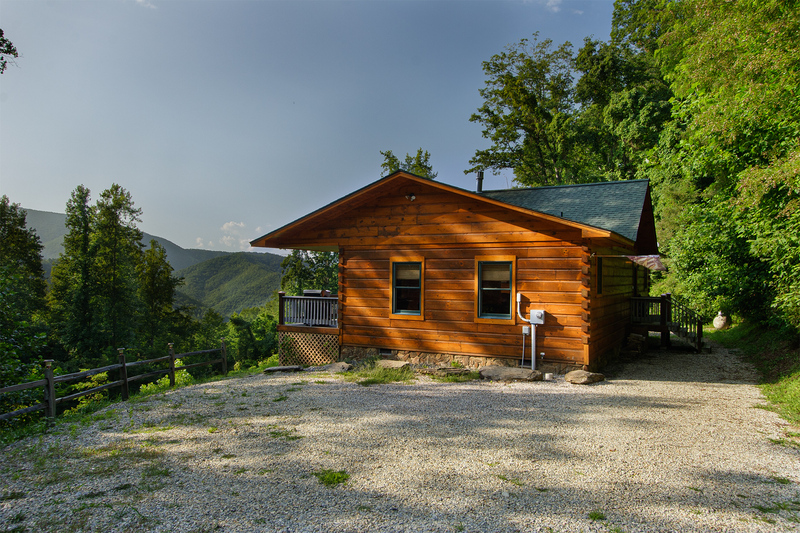 The cabin is perched on the mountain side overlooking the road leading to the cabin and the mountain views spreading across the horizon. The area around the cabin is minimally developed and retains a natural setting. 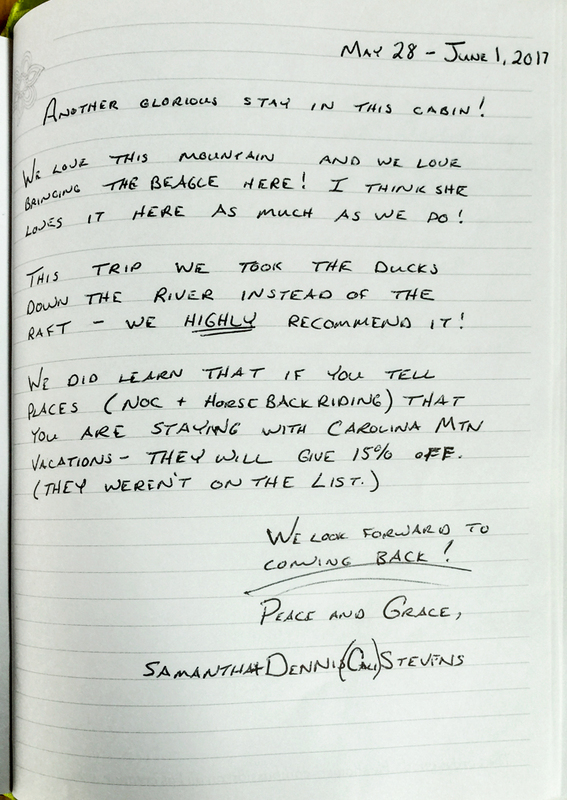 White water rafting and excellent restaurants are just a short drive back down to the Nantahala Rafting center. Mountain biking at the famous Tsali recreation center is around 15 minutes away. 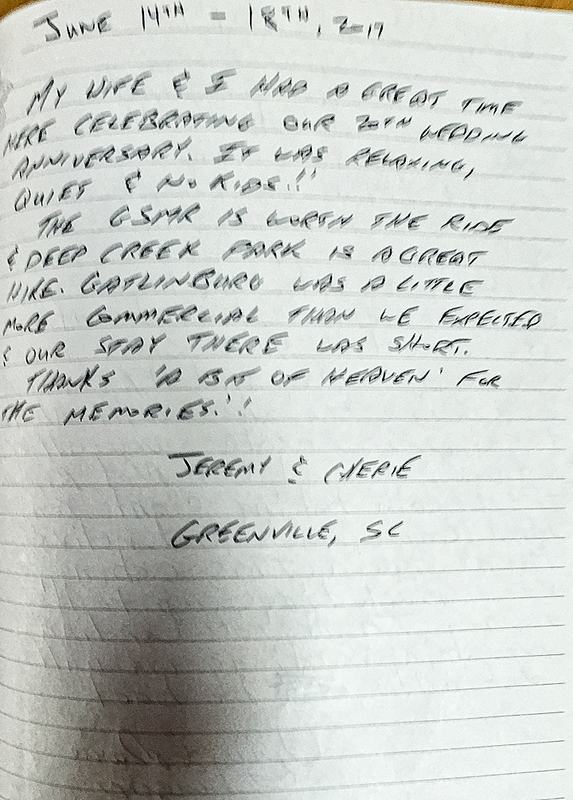 Bryson City and the Smoky Mountain National Park are a scenic 25 minute highway drive away. The Cherokee Indian Reservation entrance to the national park is another 10 to 15 minutes past Bryson City.. The front door is actually on the back side of the cabin or to the right side from the gravel parking area. 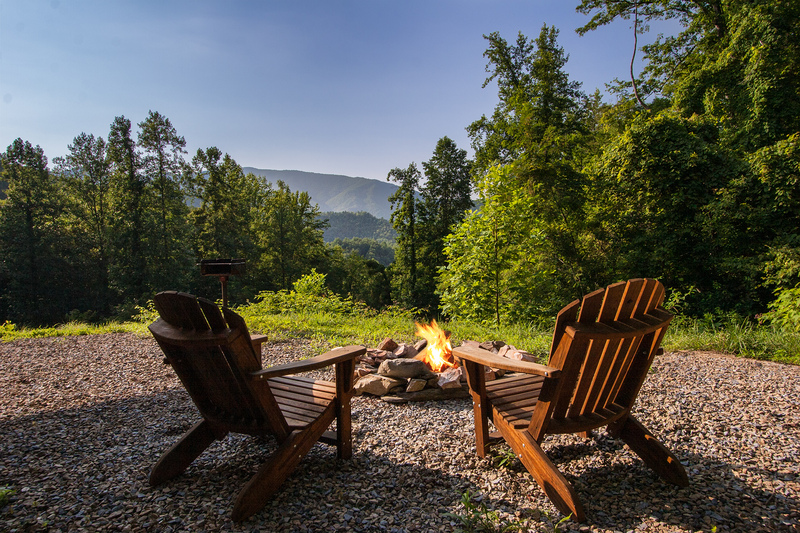 Past the front door, around to the opposite side of the cabin is a fire pit with seating and a scenic view. Sitting here on a cool evening in the fresh mountain air under the blanket of stars above, bathed in the warm glow of a fire, the rest of the world will seem miles away. The large open deck is only accessible from with in the cabin. 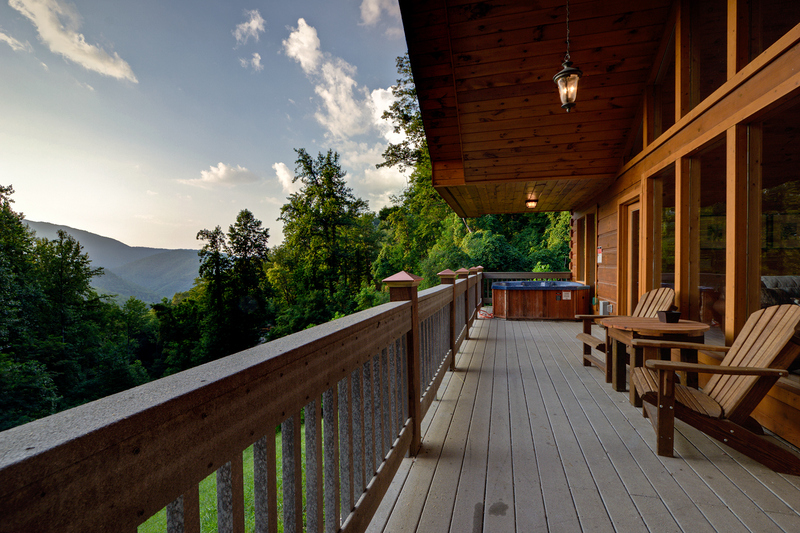 A scenic mountain view spreads wide across the deck. 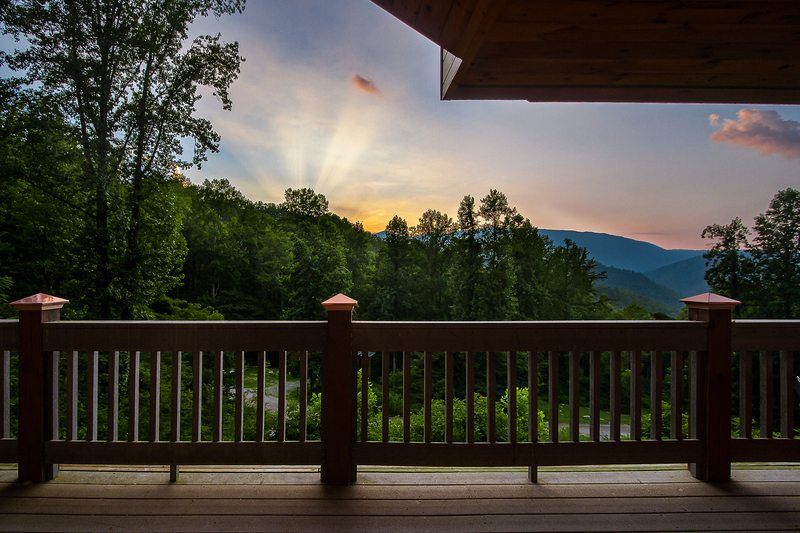 Watching a sunset over the mountains while relaxing in the warm massaging waters of a professionally cleaned hot tub is a great way to end an adventurous day of white water rafting and hiking mountain trails or to start a quiet evening. When you step through the front door, the wide mountain view fills the open floor plan from the cathedral ceiling high window wall facing you. To the left of the front door is the full kitchen which is also open to the mountain view. Past the kitchen is a large living room; where a soft leather sofa and love seat sit in front of a gas log fireplace and large screen satellite TV. 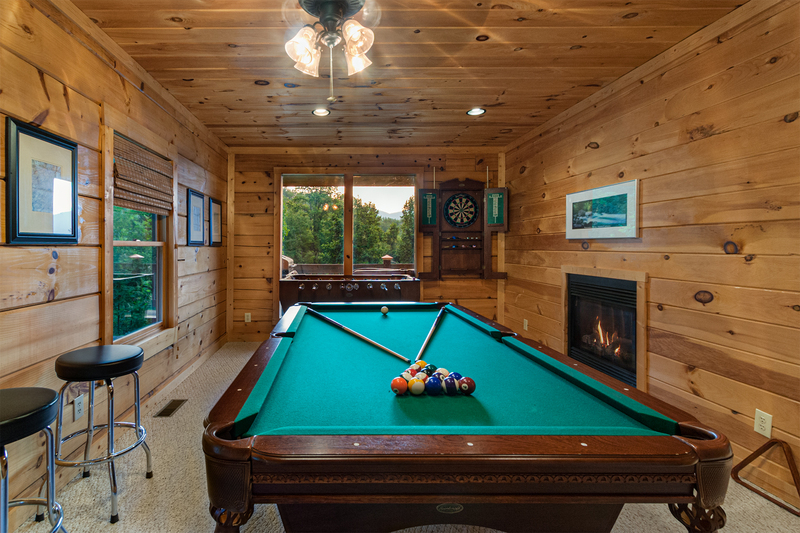 If your not in the mood to cuddle up in front of a fire or movie then maybe a competitive game of pool or foosball in front of the fireplace in the private game room is more you style. The game room is on the opposite side of the pass through fireplace. To the right of the living room is the honeymoon inspired master bedroom. 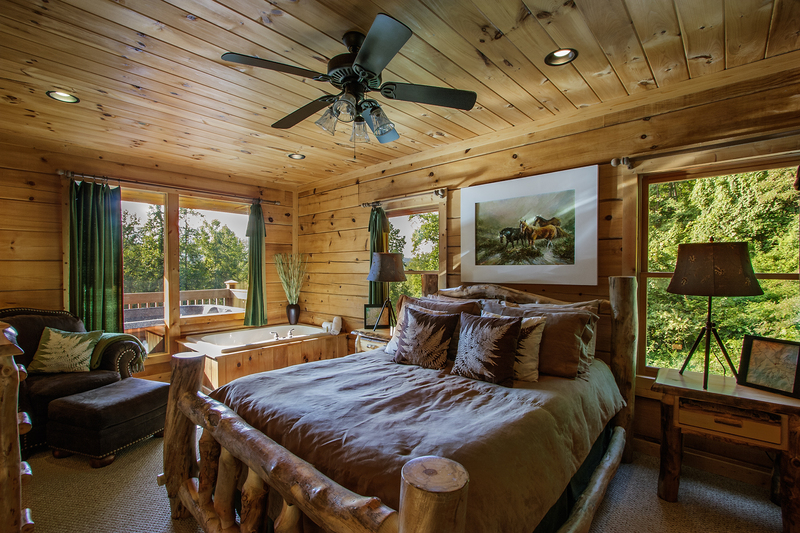 A comfortable queen size bed hand made from logs continues the rustic mountain theme decor. 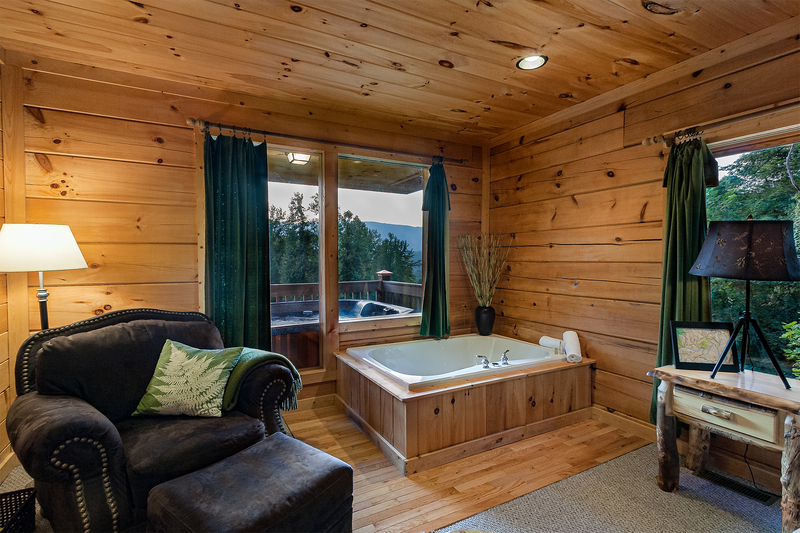 Just a few steps past the queen bed is a Jacuzzi style tub. This honeymoon suite does also have a private full bath. Paved and hard packed gravel sections on a well maintained mountain road, Switchbacks and moderate to steep incline sections possible, no washed out section. Loose Gravel on a Steep incline and/or sharp steep Switchbacks, possible deep ruts requiring higher ground clearance. Most Cars will not make it up the mountain road with out bottoming out or spinning out. This Vacation Rental is part of a larger building. It may be a condo, city loft or duplex. The minimal natural surroundings allow a clear view of the next-door neighbor from the deck or the entrance. The cabin is visible from the main road that it shares with the neighbors. The next-door neighbors may be either rentals or private residences. 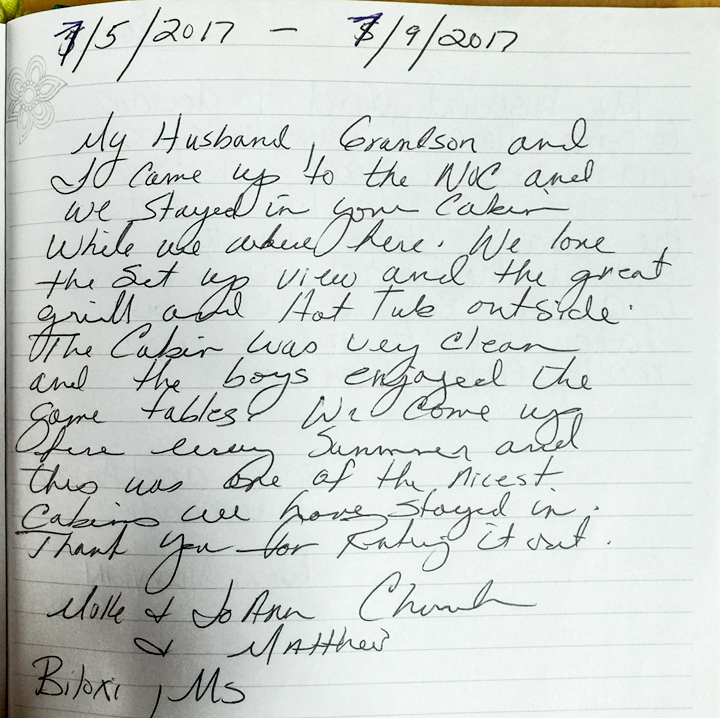 These cabins are excellent choices for Family Reunions or Group vacations, when the neighboring Cabin is also a Vacation Rental. 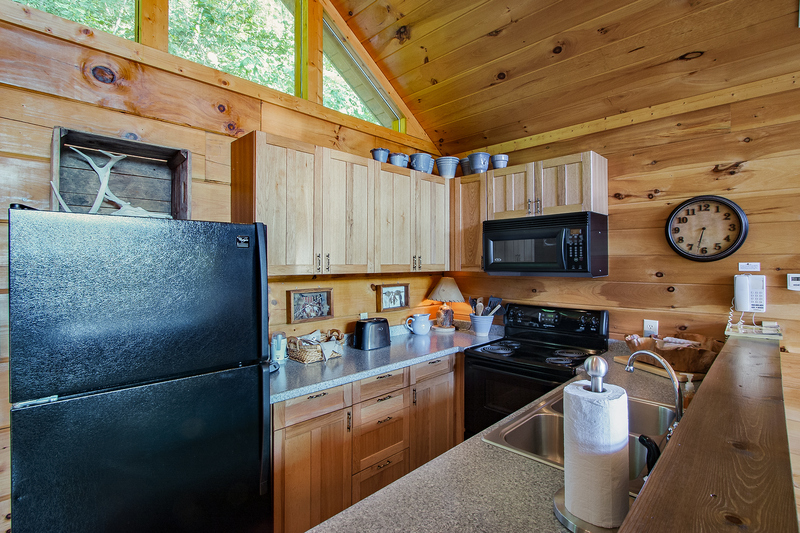 Visit our "Cabins Walkin' Distance Apart" page to see a list of rental cabins grouped close together. 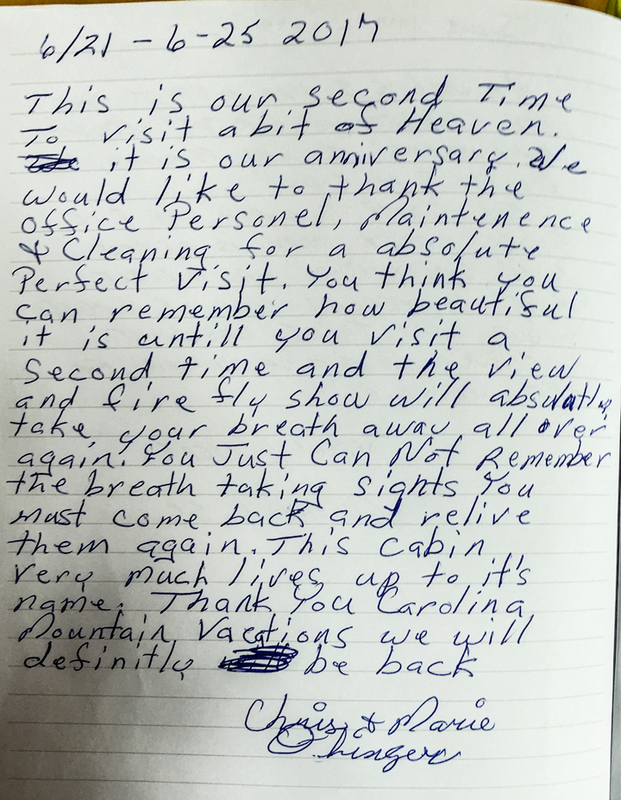 The cabin has one or more "next door" neighbors. The minimal natural surroundings allow a clear view of the next door neighbor from the deck or the entrance. The cabin is visible from the main road that it shares with the neighboring cabins. The next door neighbors may be either rentals or private residences. 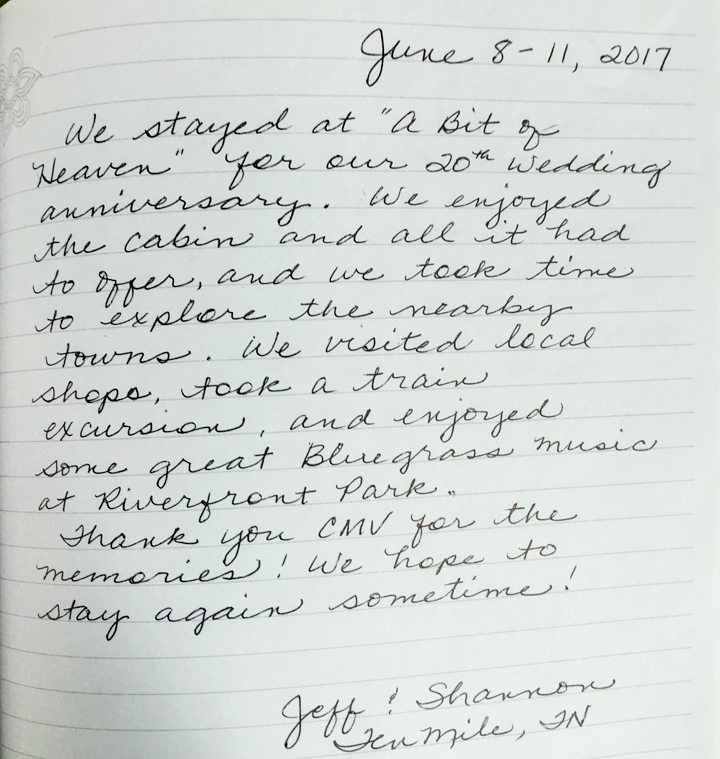 These cabins are excellent choices for Family Reunions or Group vacations, when the neighboring Cabin is also a Vacation Rental. 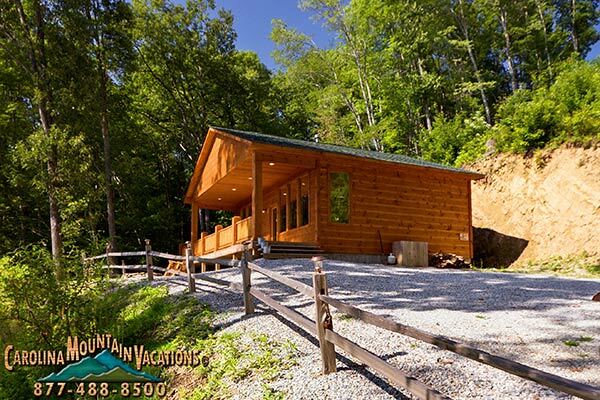 Visit our "Cabins Walkin' Distance Apart" page to see a list of rental cabins grouped close together. Other cabins are a short walkin' distance away. 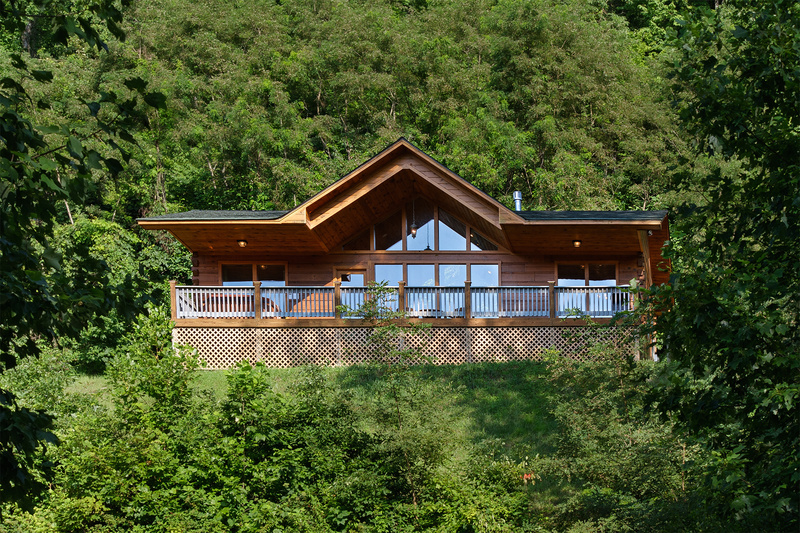 The cabin's deck is partially blocked by trees and or natural surroundings from the view of the other cabins. The cabin's entrance is visible from the local road that it shares with the other cabins. The nearby cabins may be either rentals or private residences. 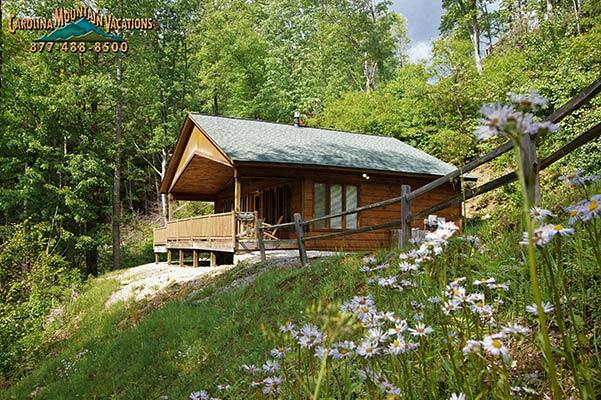 These cabins are excellent choices for Family Reunions or Group vacations, when the neighboring Cabin is also a Vacation Rental.Visit our "Cabins Walkin' Distance Apart" page to see a list of rental cabins grouped close together. 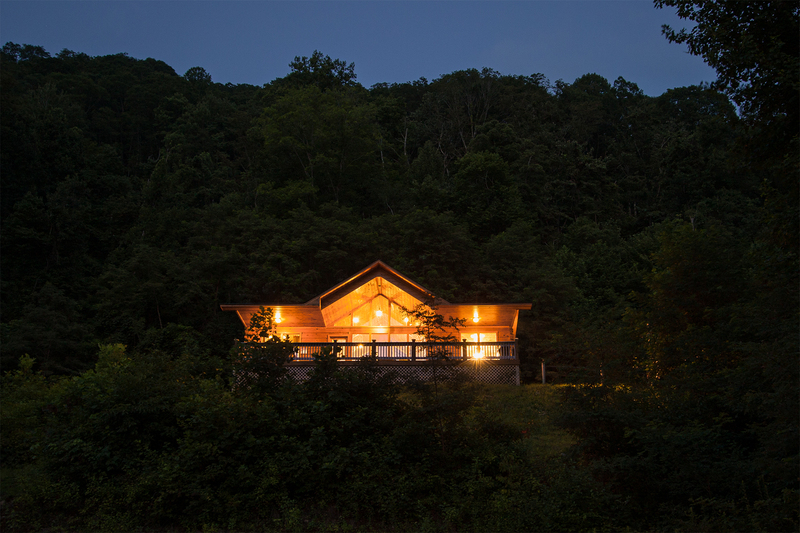 Other cabins are more than an acre away. The cabin's deck is mostly shielded from view by a small stand of trees or the mountain landscape. The cabin is off a local road and is partially visible. The neighbors up the road may be either rentals or private residences. Other cabins are more than three acres away. The cabin's deck is completely shielded from the view of other cabins by dense forest or a mountain ridge. The cabin has a private drive and is not visible from the local road. The cabin may be partially visible from a distance in the winter months. The cabin is separated from other cabins by many acres of dense natural forest or mountain ridges. The cabin is on a private road and is not visible from local roads. Even in the winter months the cabin remains secluded from others. It may be possible to see other cabins on distant mountain sides. The only neighbors are the woodland creatures. PLEASE NOTE: The privacy provided by trees and other natural vegetation decreases with the absence of leaves in the winter months. Only cabins tucked deepest in the forest or highest on a private mountaintop remain totally secluded and completely private in the winter months.